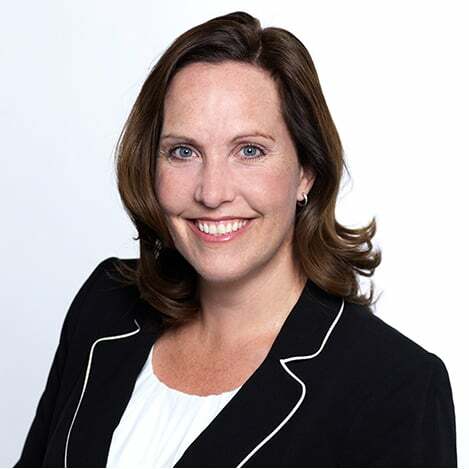 Ms. Friesen has served on a variety of Boards including the Calgary Police Commission, the Calgary Chamber of Commerce, and the Calgary Rotary Club (Downtown). Eva was the recipient of the 2011 Haskayne School of Business MAX Award, an award given annually to an alumni in recognition of outstanding success. She has an MBA from the University of Calgary and a Bachelor in Physical Education from the University of Manitoba. Eva also holds an ICD.D designation through the Institute of Corporate Directors and ICD-Rotman, Directors Education Program. Tracy Maracle is the Director of Governance, H.R. and Administration at Calgary Foundation. Tracy bears primary responsibility for Human Resources expertise and execution including implementation of the HR strategic plan. 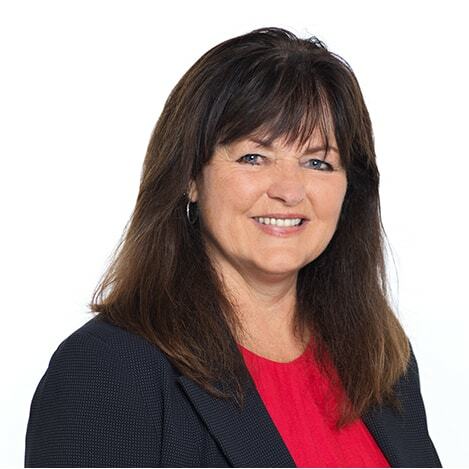 Tracy acts as Board Liaison and support in the area of Governance, ensures accreditation compliance for the Imagine Canada Standards program and provides executive support to the Board of Directors & President & CEO. She also leads organizational projects as required. 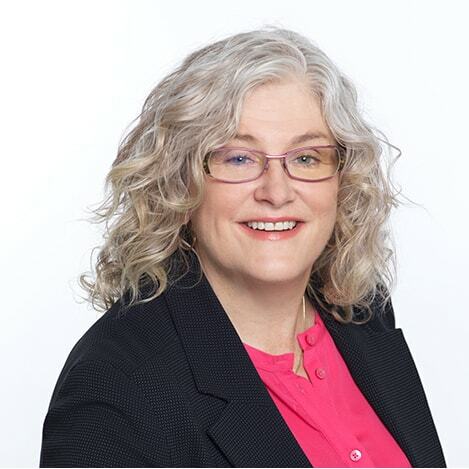 Prior to joining the Calgary Foundation in 2011, Tracy’s past roles include Director of Administration for the Canadian Institute of Natural and Integrative Medicine and Business Manager for the Integrative Medicine Institute. Tracy graduated from Mount Royal College and completed the Non Profit Management program from Mount Royal University. She is a CPHR Candidate and holds a Registered Professional Recruiter (RPR) designation. She is also member of the Governance Professionals of Canada. Outside of the office, you will often find Tracy spending time at Fish Creek Park with her family or volunteering for projects in which her daughter is involved. 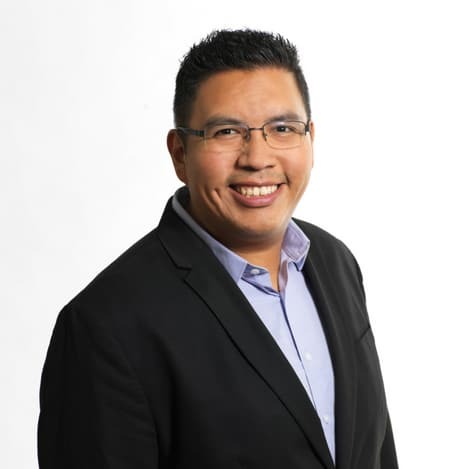 Tim comes from the not for profit children and youth sector but has also been fortunate to build strong connections within the urban Indigenous community, specifically in his previous role with the Boys and Girls Clubs of Calgary (BGCC) as Manager of Indigenous Initiatives. He sits on the Advisory committee for Vibrant Community’s Calgary (VCC) Indigenous Poverty Reduction Strategy, the 4R’s Youth Movement and the United Way of Calgary and Area Natoo’si: Healing and Wellbeing Initiative. Tim shares in the values of Calgary Foundation and in the belief that there are ways this work can continue to live and thrive as we enter the next 150 years. Celine Baril is the Office Administrator at Calgary Foundation for the last 10 years. Celine plays a pivotal role in communicating externally with donors, community organizations and other stakeholders as well as internally with Board, staff and volunteers. 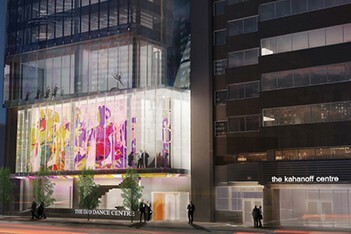 Celine plays a critical role in ensuring the Foundation runs smoothly. Over the last 25 years Celine has held different positions in the airline business, tourism industry and has also taught French to adults as a second language. Celine was born in Quebec and has lived in western Canada since 1980. She has three adult children and four grandchildren. 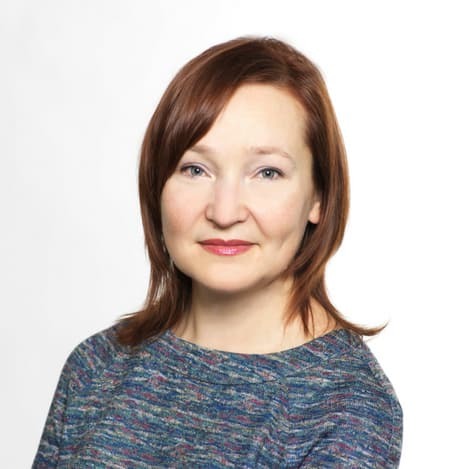 Irina Kovetsky is a Support Administrator with Calgary Foundation. She widely supports all departments. Irina joined Calgary Foundation in January 2006, and started as the Fund Development Assistant. Irina employs her knowledge in contract administration and organizational skills gained from her previous roles in the telecommunications, oil and gas and logistics industries. Irina holds a degree in Economics from the Aktau State University in Kazakhstan. Irina immigrated to Canada in 2003 with her husband and settled in Calgary where they are raising two children. She enjoys cross country skiing, hiking and gardening. Embarking upon her eleventh year at Calgary Foundation, Laily likens her role to a “philanthropic advisor” in the community. Under Laily’s leadership, effective donor engagement at the Foundation means starting a philanthropic conversation with the family’s “why”. Understanding a donor’s charitable motivations and objectives through a deliberate partnership with professional advisors continually helps Laily uncover a multitude of customized giving strategies to help donors meet their financial and charitable goals. 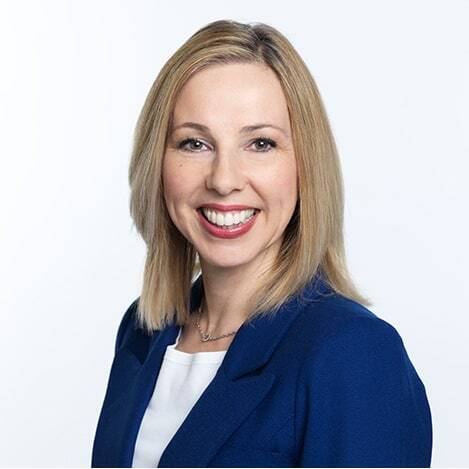 Laily’s current Board roles include the National Centre for Family Philanthropy’s’ CF Advisory Committee and the Canadian Association of Gift Planners’ Government Relations Committee. In addition to CAGP membership, Laily is also a member of the Estate Planning Council of Calgary and the Rotary Club of Calgary Downtown. Grace is the Gifts and Estates Associate at Calgary Foundation and has been with the organization since 2010. As part of the Gifts & Donor Relations team she is the first point of contact for many donors and professional advisors seeking information and guidance in the creation of legacy funds. Grace appreciates the opportunity to support multi-generational family giving and the positive impact it has on the community. Prior to the Foundation, Grace held various positions within TD Bank Financial Group including estate administration for individuals and their families. 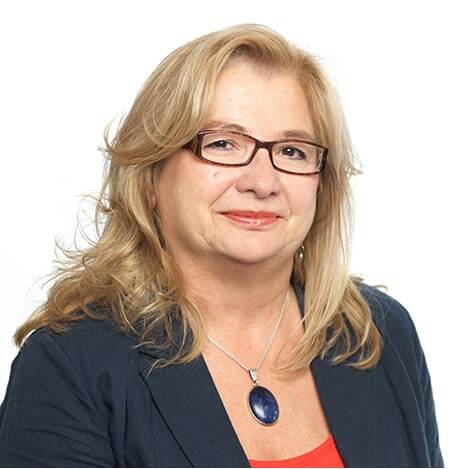 With over 20 years of experience in the education sector, Darlene Chrapko works with donors to develop student award funds and oversees the stewardship, management and granting of a variety of post-secondary and community-based awards. During her tenure, student award funds have grown considerably, many of which support multiple awards. Prior to her work in donor engagement, she gained knowledge of the charitable sector through supporting the Community Grants program. With colleagues from Edmonton, Victoria and Winnipeg, Darlene initiated a panel presentation on the unique niche of foundation-based awards at the Community Foundations of Canada bi-annual conference in 2013. Darlene achieved her Bachelor of Arts Degree (Honours English) at the University of Alberta in 1985. She has also acquired a Public Relations Certificate through Mount Royal University’s Faculty of Continuing Education, participated in the Writing with Style program in Creative Nonfiction at the Banff Centre and taken numerous writing and editing workshops. She has been a member of the Writers Guild of Alberta since 2006 and is currently a member of the Professional Writers Association of Canada. 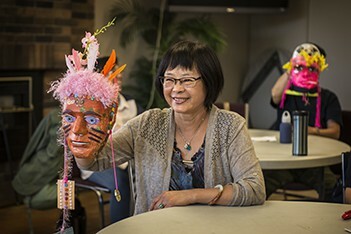 An avid writer, Darlene’s most recent volunteer work includes serving on the board of the Creative Nonfiction Collective Society and filling the role of communications and media for Aboriginal Awareness Week Calgary. She has also volunteered on the Calgary Stampede’s Agriculture Media Committee. Since 2010, she has covered Calgary and area Aboriginal stories as a monthly contributor to Alberta Sweetgrass newspaper. A second generation Canadian, Darlene was born and raised in rural east-central Alberta. She has made Calgary her home since coming to the University of Calgary to pursue graduate studies in English in 1986. Riz Nathoo is the Donor Stewardship Advisor on the Gifts and Donor Relations team at Calgary Foundation. A firm believer that diversity is a strength, Riz came to the Calgary Foundation with a desire to build participation and strengthen community philanthropy. In his role he provides knowledgeable guidance and support around community needs, grant making and Fund activity to donors (and often their multi-generational Fund successors), and creates and implements stewardship strategies that increase engagement between donors and the Foundation. 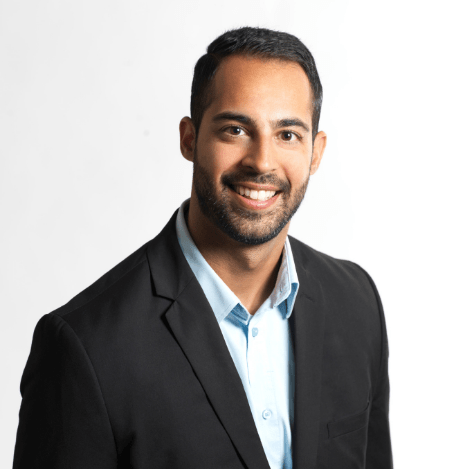 Riz is a strategic and versatile professional with nearly a decade of experience in the charitable sector, having previously held roles with Calgary Health Trust as a Planned Giving Officer and the Schulich School of Engineering at the University of Calgary as a Development Officer. He is a Certified Fund Raising Executive (CFRE) and is the Co-Chair of the Education Committee on the Board of the Canadian Association of Gift Planners (CAGP) Southern Alberta Chapter. Riz has also previously served as a member of the Program Committee with the Association of Fund Raising Professionals (AFP) Calgary Chapter. Riz is a native of Calgary, where he resides with his family, and enjoys his passions for hiking, biking and almost anything that gives him a reason to be outdoors. 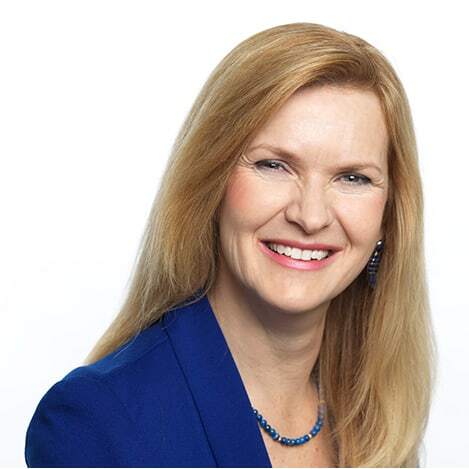 Tina Overwater joined Calgary Foundation as a Donor Stewardship Advisor to continue to build her career in donor stewardship, and to contribute meaningfully to the building of our great city. As a member of the Gifts and Donor Relations team, Tina shares knowledge on the impactful work of charitable organizations to inform and inspire donors and their families. 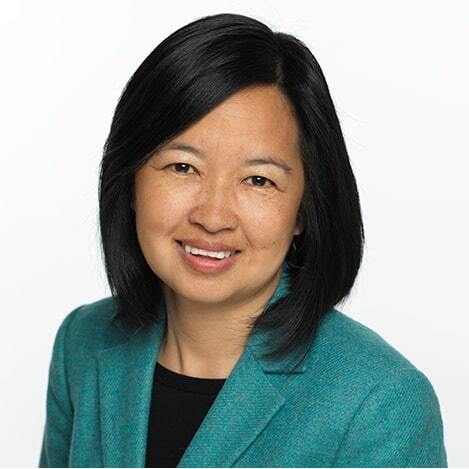 Like her Stewardship Team counterparts, Tina aims to continue to provide donors with thoughtful support and guidance in their grant-making and Fund activity, with a responsiveness and attention to detail that enriches the donor experience. With a 15 year background working in post-secondary education, Tina identified that her work in stewardship and donor relations was by far the most fulfilling. 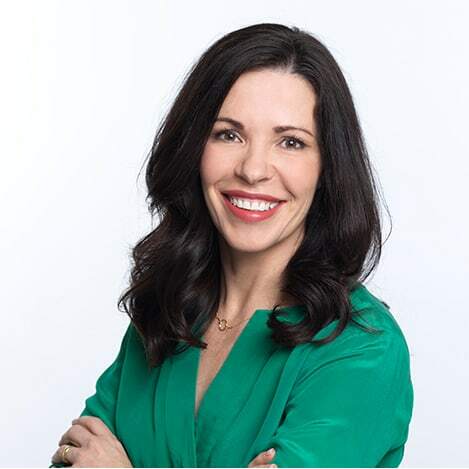 She brings a passion for connecting with people and bringing stories of others’ good work to the forefront, and is delighted to be part of an organization whose broad community support strengthens all facets of the charitable sector. She particularly enjoys working alongside the true change makers—donors and charities. In fall 2017, Tina was named the Outstanding New Fundraiser of the Year by the Association of Fundraising Professionals in recognition of her work in donor relations and stewardship in support of advancing Bow Valley College. Tina is proud to call Calgary home as it offers her family a life that is rich with experiences both urban and rural, equal distance to family farms and the Rockies right outside our door. 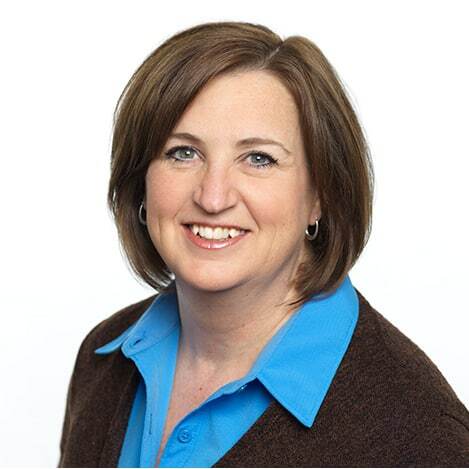 Allison Schulz is a seasoned fundraising professional with 20 years of experience in planning and integrating comprehensive development strategies. 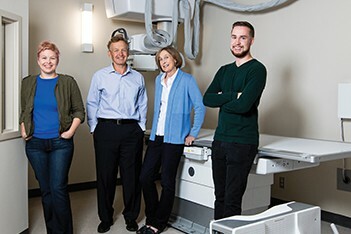 Leading Nonprofit Engagement, Allison collaborates with team members to assist charitable organizations optimize the multiple benefits of having a relationship with the Calgary Foundation. This proactive relationship management approach assists organizations to build long term revenue generation strategies to support working capital requirements through diversified funding streams. 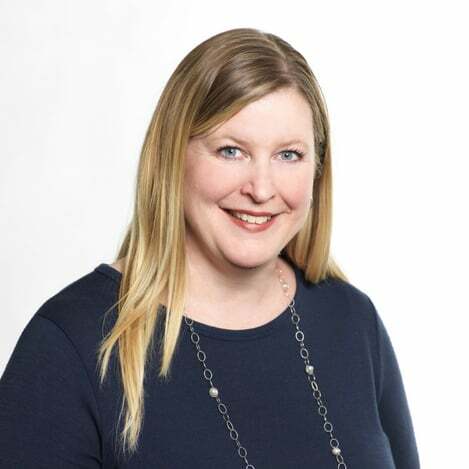 Prior to joining Calgary Foundation in 2013, Allison worked across Western Canada managing numerous multi-million dollar capital campaigns and major gift programs, as well as has extensive experience in board governance and staff recruitment and retention strategies, in the education, healthcare and arts sectors. 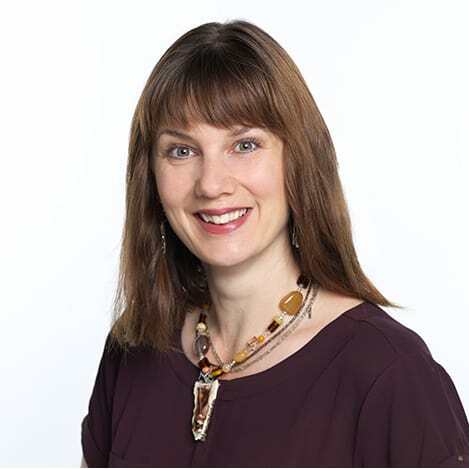 Allison studied Economics and Political Science at the University of Alberta, and has obtained certificates in Fundraising Management and Gift Planning. As an active member of her community, Allison dedicates her time to the parent advisory council at her son’s school, is a coach for a local cross-country running group, and is a dedicated volunteer for organizations working with housing insecure or homeless single parents. Allison, together with her husband and son, enjoy spending their spare time in the great outdoors on skis or their mountain bikes. 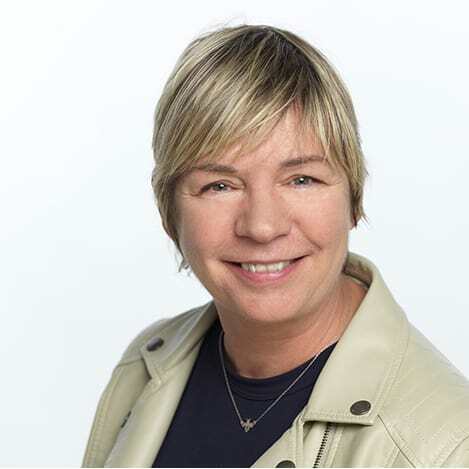 Marie Stevens is responsible for stewarding the vitally important relationships that Calgary Foundation has established with many of its Donor Advised and Designated Fund donors and advisors. Marie develops and implements stewardship strategies that align the mission of the Foundation with the philanthropic goals of donors and the needs of the community, while providing knowledgeable guidance and support to donors around charitable needs, grantmaking and Fund activity. Marie also provides counsel and support to families engaging in multi-generational family philanthropy. Marie has extensive background working in charitable foundations, community investment, corporate communications and public relations. She worked for several years in advertising and public relations agencies, followed by communications and community investment roles in the corporate sector. Her passion for charitable foundation work began when she was appointed manager of a new foundation by a major energy company in the late ‘90s. While she went on to enjoy roles managing internal communications, consulting in community investment, and coordinating a charity’s capital campaign, Marie’s heart remained in foundation work. She has been with Calgary Foundation since 2010. Janeen Webb is the Director, Gifts & Donor Relations at Calgary Foundation. Prior to her role at the Foundation, Janeen worked for over 10 years at Inn from the Cold, where she managed all facets of Resource Development for the organization including Major Gifts, Annual Giving, Volunteer Resources, Marketing and Communications and Community Education and Advocacy. Janeen holds a BA/BED from University of Calgary and was a dedicated Elementary Teacher prior to joining the charitable sector. In 2013, Janeen was named the Outstanding New Fundraiser of the Year by the Association of fundraising Professionals and has played a major role in advancing Donor Stewardship and Donor Relations in the Calgary not for profit community. Kathy is the Donor Grants Administrator at Calgary Foundation. Jason Bates is the Vice-President, Grants & Community Initiatives, starting his career at Calgary Foundation in 2012. Prior to working for the Foundation he managed granting programs with the federal government in two different departments: Aboriginal Affairs and Northern Development Canada, and Canadian Heritage. Jason previously worked on community initiatives in both North Africa and China. Born and raised on a farm south of Calgary, Jason received his BA from McGill University in Montreal majoring in Anthropology and International Development. Outside of his work at the Foundation, Jason is an avid hiker and LEGO enthusiast. Julie Black has a career that spans the charitable, corporate and freelance writing sectors. In her role at Calgary Foundation, Julie supports the two grassroots granting programs that aim to engage people in the well being of their neighbourhoods and communities – Neighbour Grants and Stepping Stones. 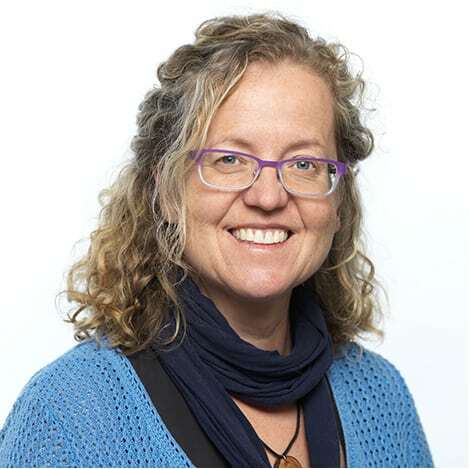 She also leads the team that organizes Calgary’s Jane’s Walk each May; Jane’s Walk is an international weekend of free neighbourhood walking tours to celebrate the legacy of urban writer and activist Jane Jacobs by getting people out walking, talking, and experiencing their communities. Julie has a Masters of Arts in Community Studies at Athabasca University and is a perpetual beginner kayaker, pool player, and needle-felt crafter. Djaka Blais-Amare is the Community Grants Associate with Calgary Foundation. In her role, Djaka supports community partners through the process of developing project concepts and proposals for the Community Grants Program. She also fosters partnerships with community stakeholders and other funders and assists organizations through capacity building advice. 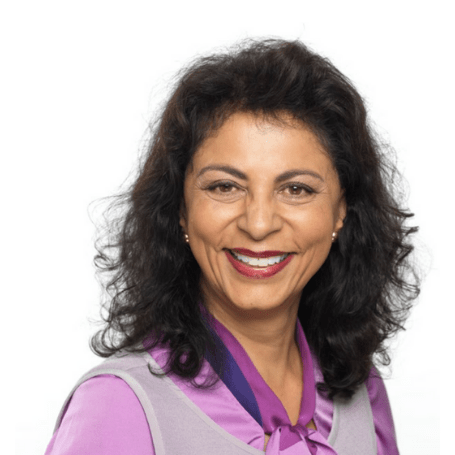 Before joining Calgary Foundation, Djaka worked for several years with the federal government where she administered a variety of funding programs, including the Official Languages Program, Multiculturalism Program and Settlement Programs. Djaka holds a BA in Communication Studies from the University of Calgary and has completed the Project Management Certificate and Leadership Development Certificate from Mount Royal University. Djaka lives in Calgary with her husband and two boys and enjoys travelling with them whenever possible. Matthew Blough, BA, is the Grants Impact Associate with Calgary Foundation. 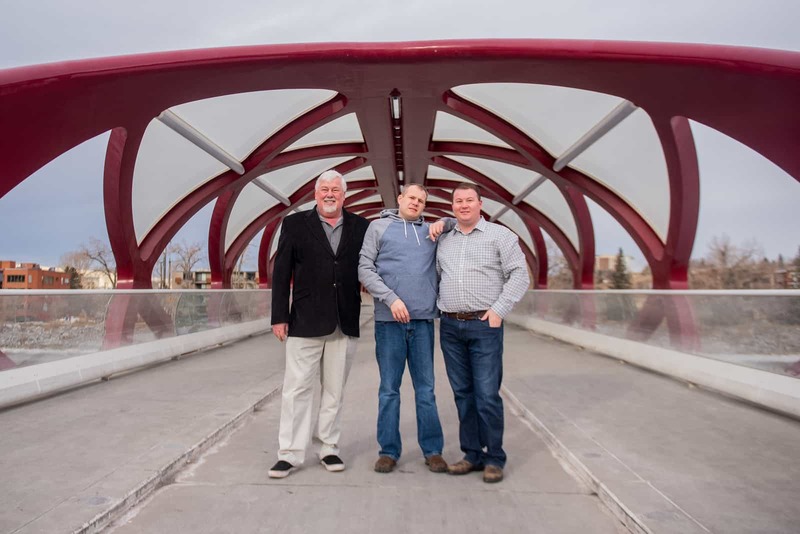 In this position, Matthew enjoys building relationships with charities, sharing their successes and digging into the difference that Calgary Foundation support is making in the Calgary area. Matthew also works closely with other organizations in the charitable sector to identify current trends in impact and evaluation methods. Before his time with Calgary Foundation, Matthew spent over a decade working in the charitable sector as a program director, grant manager and executive director for a variety of agencies in the conservation, social service and recreation sectors. Matthew enjoys volunteering with social agencies, past and present, such as: Boys and Girls Club of Cochrane and Area, Bragg Creek Community Association, Footsteps Preschool and Seraph Theatre Company. Matthew lives in Cochrane with his wife, Abby, and two small children. They enjoy frequent trips to the nearby Rocky Mountains to camp, hike and even sail on some of Alberta’s glacier fed lakes. 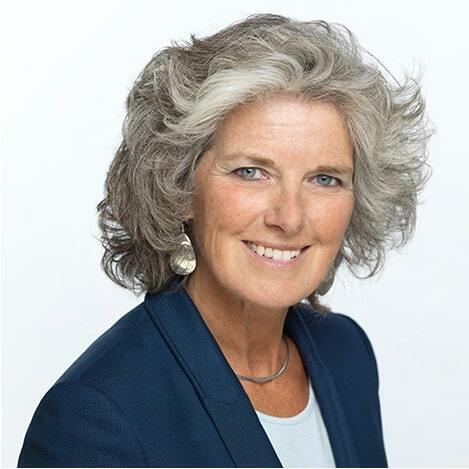 Brigitte von Rothemburg, BA, CERTESL is the Grants and Volunteer Program Associate at Calgary Foundation, supporting the Grants Team, Community Initiatives team and the Foundation’s volunteer Committee members. Brigitte also helps charities in making applications to the Foundation’s granting programs. A long-time Calgarian, Brigitte is proud to have worked in our local Immigrant Serving Sector in administration and as a certified English as-a-Second-Language (ESL) Instructor. Calgary’s ever-growing, vibrant arts scene is a long-time passion of Brigitte’s and she gets involved in any chance she gets. As an avid gardener, Brigitte continually increases her environmental awareness and knowledge of ways to make a positive impact in her community provides inspired opportunities for lifelong learning. Ingrid joined Calgary Foundation with fifteen years’ experience working alongside staff and volunteers in a variety of community development, event planning and operational roles. She holds a degree in Cultural Anthropology from the University of Calgary and is most of the way through MRC’s Non-Profit Management Certificate Program. A stickler for details with an eye on the big picture, Ingrid provides behind-thescenes support to the Grants Team. Her first contact with the Calgary Foundation was as a Neighbour Grants recipient while coordinating her community association’s centennial celebration. As a member of the CF team, she loves having a wide window into the inspirational work of Calgary’s charitable organizations. Outside work, she is an active member of her children’s school council, volunteers at her karate club and travels as much as her budget allows! 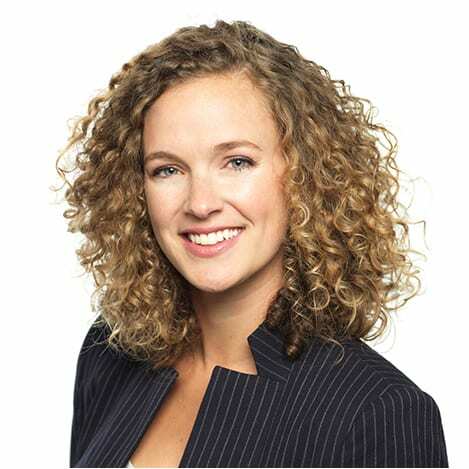 Taylor Barrie is the Director of Communications at Calgary Foundation and leads a team that is responsible for the development and execution of communications strategies. Some of her accountabilities include: public engagement and outreach; creating partnerships within the charitable community and with community-serving organizations; developing publications and print material; overseeing marketing, web, and social media strategies; and fostering media relations. She has been part of the communications team at the Foundation since 2010. Taylor’s professional history includes experience with the Western Hockey League and in corporate search. She is active in the community, including volunteer experience with 02 The Dance Company, PechaKucha Calgary, and the Children’s Cottage Society (Brenda’s House). Taylor holds a B.A. in Communication Studies from the University of Calgary. Her lifelong passion for dance fuelled a decade-long career as a dance instructor and choreographer, and she continues to work within the dance community as a volunteer and committee member. Taylor is an avid reader, passionate yogi and mother to her busy one year-old daughter. Since 2003, Janice Francey has worked as a communications professional at the Calgary Foundation. Her responsibilities include the promotion of the Foundation’s role in serving the charitable sector and supporting a healthy and vibrant community. A passionate supporter of music, Janice was a 6-year member of the CKUA Radio Foundation Board, Chair of the CKUA Development Committee and a member of the CKUA Capital Campaign Committee. Janice was also a member of the 2016 JUNO Communications Committee and part of the team that launched the inaugural ‘Wide Cut Weekend’ music festival which annually celebrates roots music at local music venues in Calgary. Darbie joined the Communications team at Calgary Foundation in 2016. With a specific focus on digital communications, Darbie is responsible for the strategic implementation and management of Calgary Foundation’s digital initiatives. 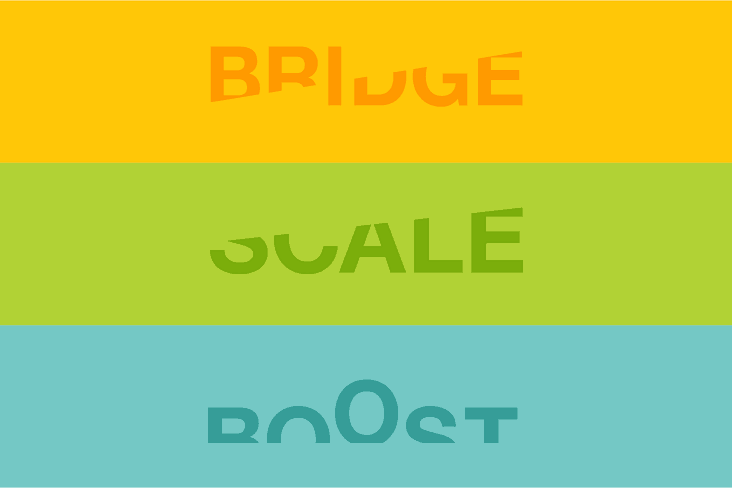 Building engaging creatives to grow the profile of the Foundation. Her experience in marketing and communications encompasses a carousel of digital media marketing, project management, vendor collaboration, strategy writing, media pitching, large-scale event production, brand management, creative campaigning and content writing. Darbie holds a B.A. in Communications from Mount Royal University. With a passion for travel, culture and language, Darbie has been on adventures around the world. These experiences have inspired her personally and professionally to better understand the unique facets of communication and her role as a communicator. In her own backyard, Darbie is proud to live, work and play in Treaty 7 territory. She acknowledges and respects the contribution Indigenous communities have gifted to this region, and celebrates their continued connection to land, waters and community. Since graduating with Honours from Bow Valley College’s Events Management Certificate Program, Linda has pursued her passion of working in the charitable sector. 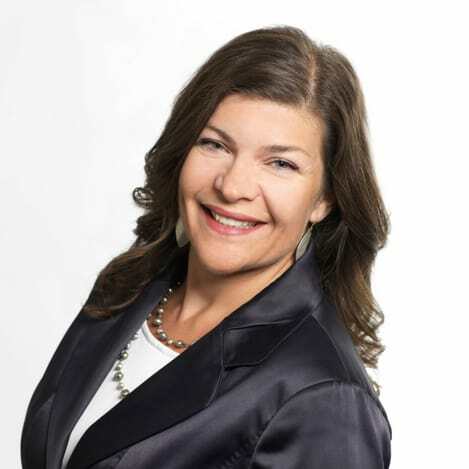 Prior to joining Calgary Foundation in 2007, Linda held several fundraising roles in Calgary and worked as a Program Coordinator with Leave A Legacy Calgary. In her role as Events & Development Specialist, Linda works with the Communications Team in developing effective events and Foundation major initiatives outreach strategies. Her responsibilities also include the coordination of Calgary Foundation events including celebrations, workshops, and a variety of program/initiative launches as well as partnership and sponsorship development. Linda’s additional responsibilities with the Gifts & Donor Relations Team also include the administration of third party fundraising events and donor stewardship. Linda’s past volunteer work includes: Alberta Cancer Foundation, Canadian Cancer Society, United Way of Calgary and Area and The DI (Calgary Drop-in Centre). Janet Hails is the Coordinator for Calgary Foundation’s Community Knowledge Centre (CKC). Before this new role in communications, Ms. Hails supported the granting team as Community Grants Associate after joining the Foundation as Donor Grants Administrator. 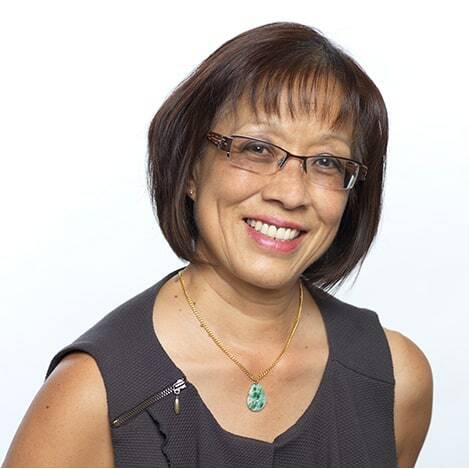 Prior to working at the Foundation, Janet ventured into the non-profit sector by providing support as director of development for LINKages Society of Alberta and initially started her non-profit path as an administrative assistant with the Salvation Army Children’s Village. 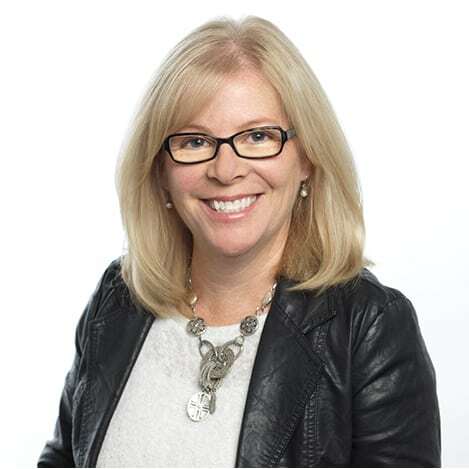 Before working for non-profits, Janet was employed as buyer and analyst for Forzani Group Ltd. She also worked as a production/revenue accountant in Calgary’s oil and gas industry. 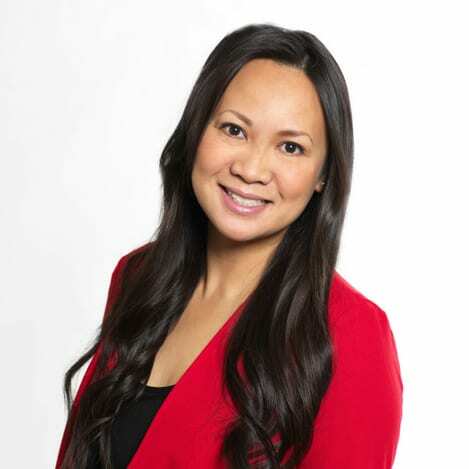 Janet started her career as a member services representative for First Calgary Financial. 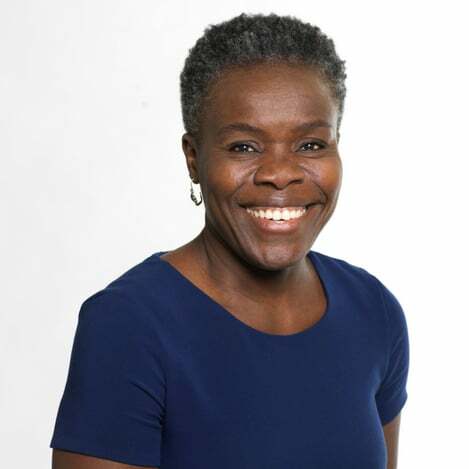 Janet Hails participated in the 2009 Class of Leadership Calgary and in 2006, was awarded the degree of Bachelor of Applied Nonprofit Studies through Mount Royal University. This degree reflected knowledge gleaned from Naheed Nenshi, who served as Associate Professor and Canada's first tenured professor in the field of nonprofit management, at Mount Royal University's Bissett School of Business. 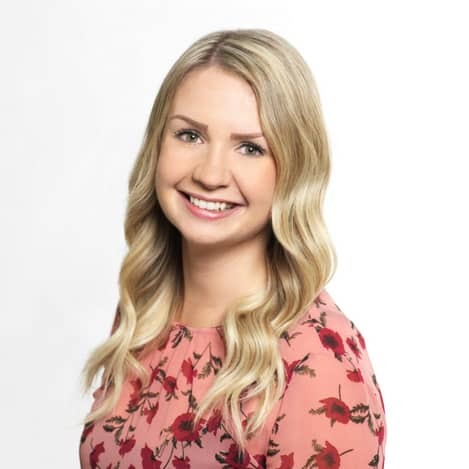 Emily Nachtigall joined Calgary Foundation’s communications team in 2015 after graduating from Mount Royal University with a Bachelor of Communication in Public Relations. Prior to joining the team full-time, Emily interned with the Foundation in the summer of 2014 where she found her passion for the charitable sector. 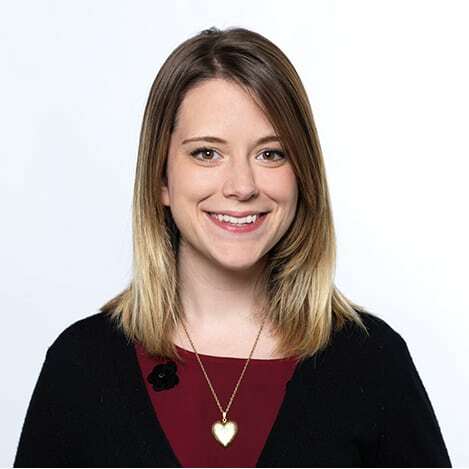 Emily helps support and implement community initiatives, events and publications such as Calgary’s Vital Signs Report, the annual Vital City event and the Community Knowledge Centre (CKC) website. 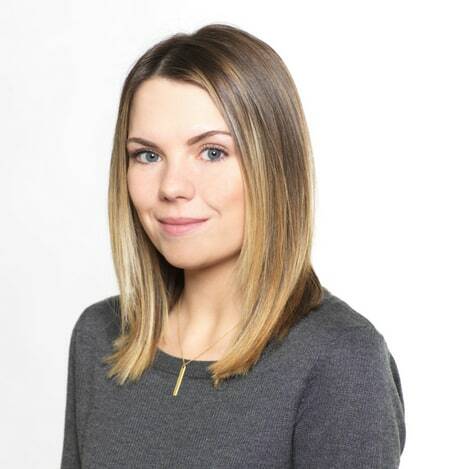 Furthering her interest in non-profit work, Emily spent the 2014-15 hockey season interning for the Calgary Flames charitable arm, The Flames Foundation, where she executed major events and provided donor relations support. A born and raised Calgarian, Emily enjoys her free time exploring the city with friends, travelling as much as she can and spending her summers with her family on the lake. 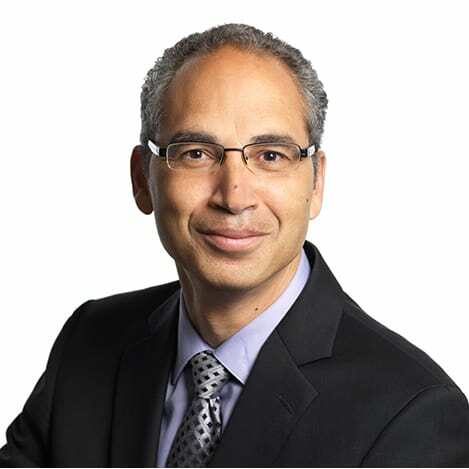 Craig March, B. Comm, CPA, CGA, is the Vice-President of Finance at Calgary Foundation. Craig has 25 years of experience in accounting, finance and administration in varied roles in the for-profit, non-profit and public sectors. Craig has led the finance team at the Foundation since 2001. Craig focuses on financial reporting, regulatory compliance, treasury, information systems and risk management. 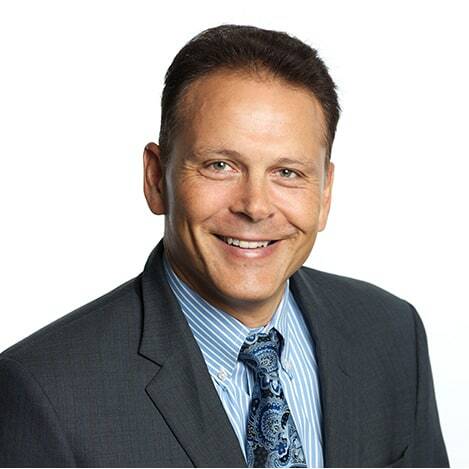 Craig has a Bachelor of Commerce degree from the John Molson School of Business at Concordia University, is a Certified General Accountant and has completed the Canadian Securities Institute’s Securities Course of study. Craig currently volunteers on the Audit and Risk Committee of the Immigrant Access Fund. Tamara Loria is the Insights Officer at Calgary Foundation. As the Insights officer, Tamara’s primary role is to identify strategic opportunities and insights through the Foundation's data and information. Tamara’s professional experience includes working in the public, for-profit and not-for-profit sectors. She obtained her Bachelor of Commerce Degree with Distinction in Operations Management, from the Haskayne School of Business at The University of Calgary. She is also a Certified Associate in Project Management. Tamara enjoys all types of outdoor activities. Including camping, hiking and mountain biking in the summer and skiing in the winter. Renée Fan, B. Eng., has been the Controller at Calgary Foundation since 2013. Renée has thirteen years of experience in accounting, finance, computer technology and administration in varied roles in the not-for-profit sector. In her current role she focuses on cash management, valuing and monetizing gifts of securities, financial accounting and reporting. 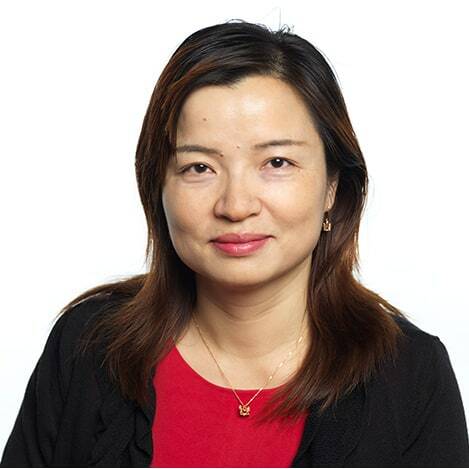 Prior to that, she worked at major utility companies in China, the United States and Canada focusing on project management, budgeting and variance analysis. 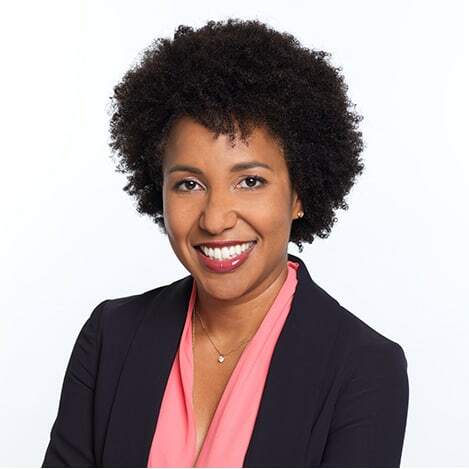 Renée has a Bachelor of Engineering Degree, an accounting diploma and is pursuing an MBA at the Sauder School of Business through distance learning. She has also completed the Canadian Securities Institute’s Securities Course and Wealth Management Essential. In her spare time, Renée enjoys music, hiking and badminton and is an active volunteer in the community. Ireti Oyesoro champions Gifts and Accounts Payable. Rosemarie is Calgary Foundation's Financial Coordinator. 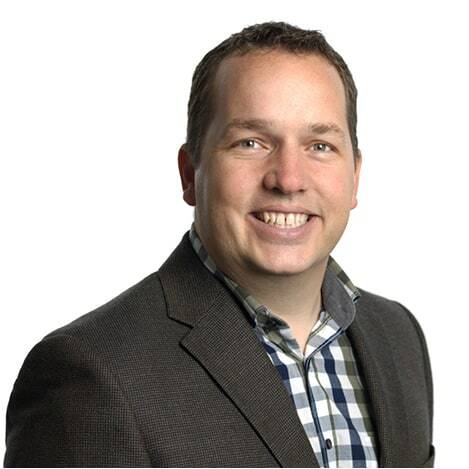 Dan Langlois is the Vice-President and Chief Investment Officer at Calgary Foundation. His previous professional experience includes a senior position with an Institutional Investment Counselling firm where he offered ongoing portfolio management and client service to institutional clients across Canada. Dan also worked as a senior investment consultant where he delivered investment consulting services to pension, endowment and insurance clients throughout Western Canada and served Calgary Foundation in this capacity. 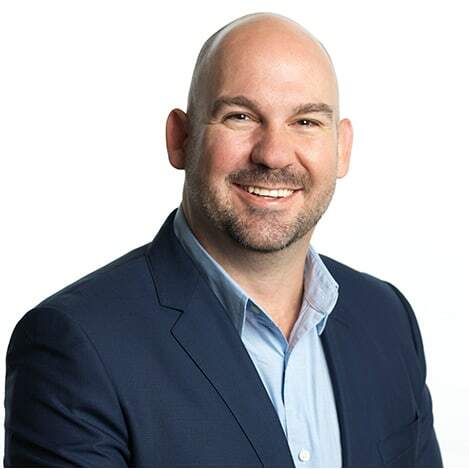 Dan Langlois holds a Masters of Business Administration Degree in International Financial Management and is a CFA charter holder. 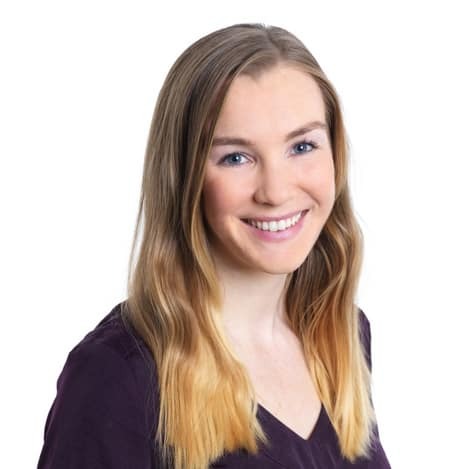 Lauren Frosst is the Investment Associate at Calgary Foundation, implementing new grant-making and impact investment programs, capacity building initiatives and special projects. In her role, Lauren identifies and integrates learning practices into the Calgary Foundation’s grant and impact investment processes. 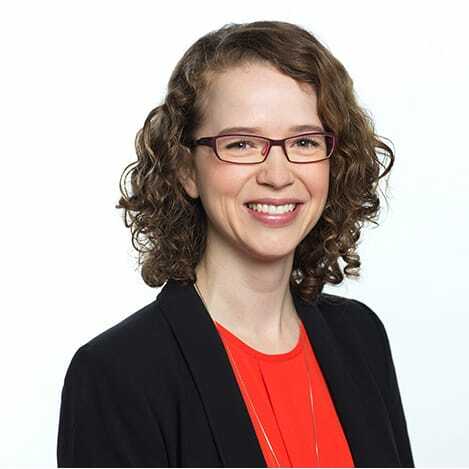 Prior to her time at Calgary Foundation, Lauren managed grant programs for Calgary 2012, the organization charged with overseeing Calgary’s time as Canada’s cultural capital, and Calgary Arts Development, the city’s designated arts development authority. Lauren has an undergraduate degree in printmaking and a MBA with a specialization in finance from the University of Calgary’s Haskayne School of Business. She also studied international commerce at the Vienna University of Economics and Business. Sara joined Calgary Foundation in 2016 as the Investment Administrator. 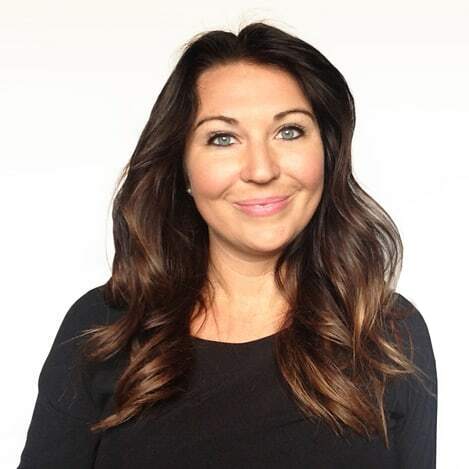 Prior to joining Calgary Foundation she worked with RxRobots Inc. as an Operations Manager, where she managed the sales process and finances of the company. Sara holds a Bachelor of Commerce with a major in Finance, and a Bachelor of Arts with a major in Economics, both from the University of Calgary. During her undergraduate degrees she interned with TransCanada in the Power Marketing group, as well as Farm Business Consultants for the 2014 tax season. In her spare time Sara enjoys cooking, reading, and attending local theatre and ballet. She is also a travel enthusiast, having recently returned from a two month backpacking trip across Europe.